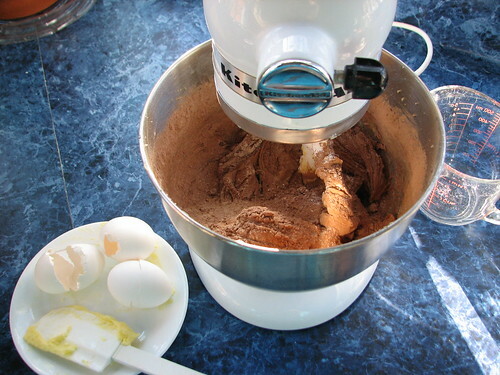 Add the eggs and vanilla, mixing until well blended. Add the flour and the cocoa. Mix slowly to prevent the dry ingredients from flying everywhere. 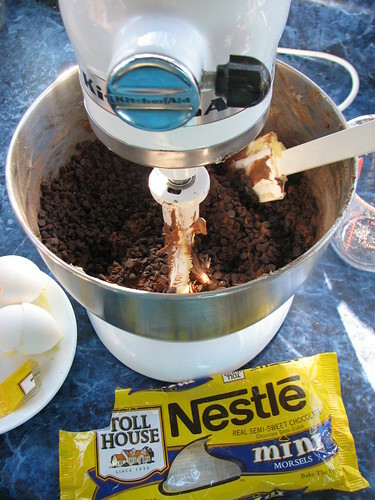 Set aside 1/2 c. of the chocolate chips and add the rest to the dough, stirring well. 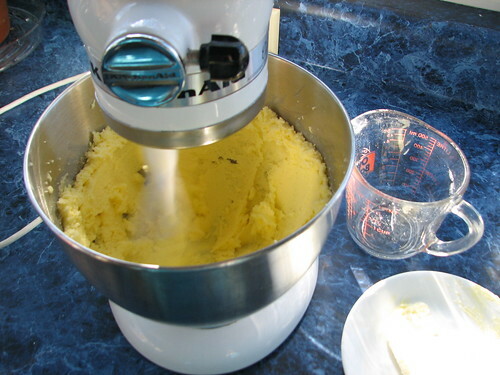 You can stir them in by hand, if you like, but I use the mixer. 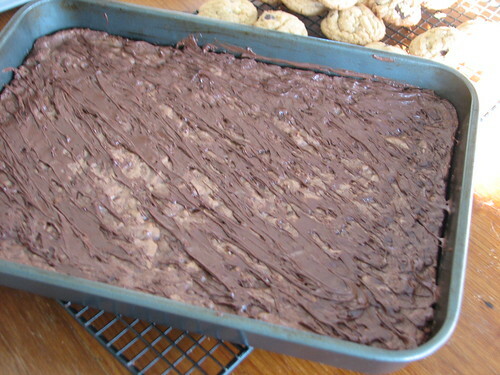 Spread in a greased 9×13 pan and bake at 350*F for 25 minutes. 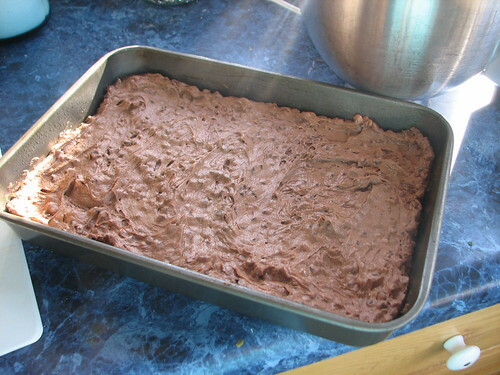 When the brownies come out of the oven, sprinkle the remaining chocolate chips on top. 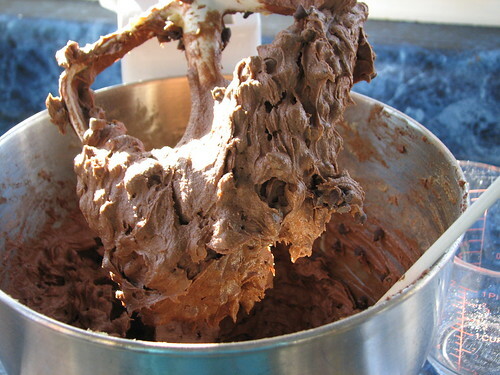 When melted (just takes a few minutes), use a fork to spread the chocolate across the top of the brownies. This entry was written by ~~Rhonda, posted on September 4, 2008 at 10:24 am, filed under cookies, Recipes. Bookmark the permalink. Follow any comments here with the RSS feed for this post. Post a comment or leave a trackback: Trackback URL. OH MY GOODNESS! I am coming to YOUR house! I can almost smell them baking in the oven! I was just wondering,do you use unsweetened or sweetened cocoa powder in these?I never know what to use.